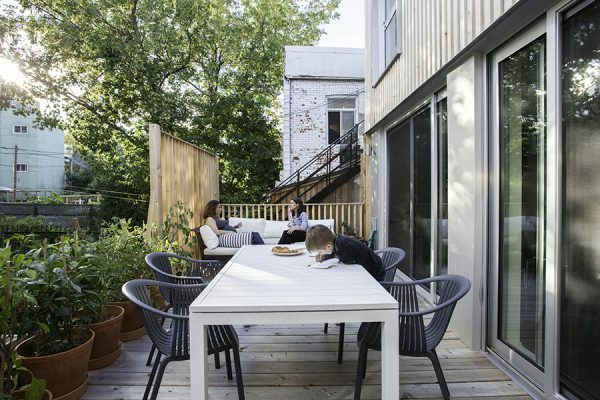 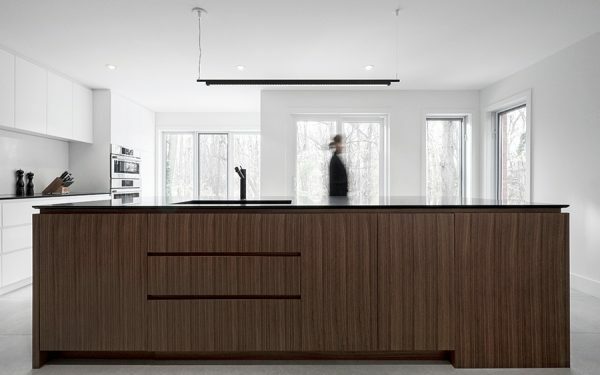 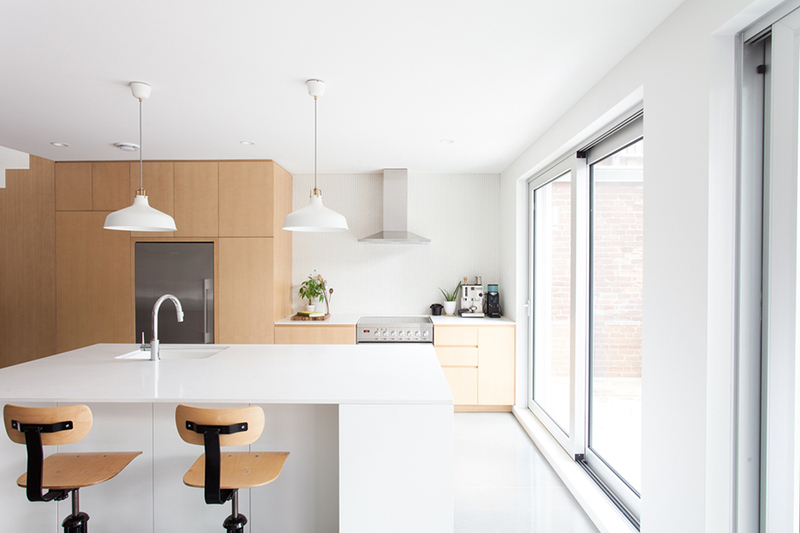 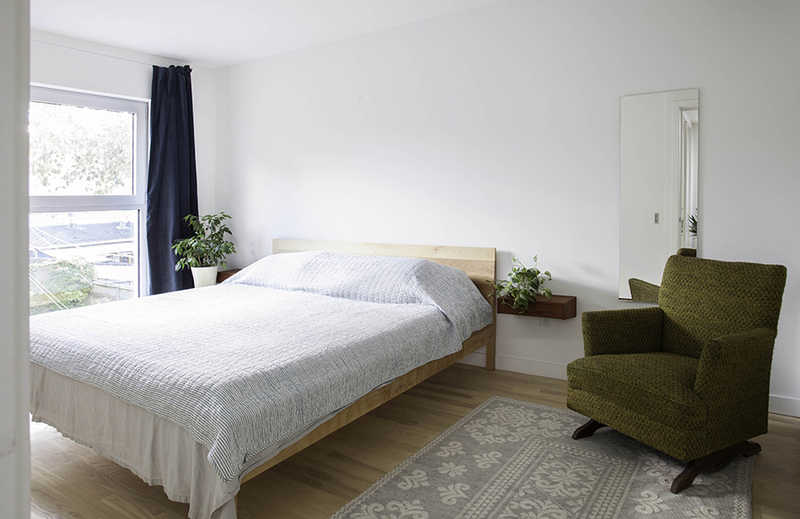 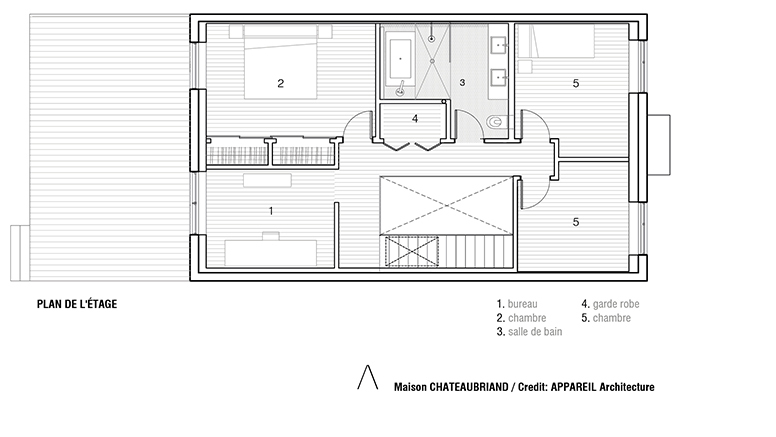 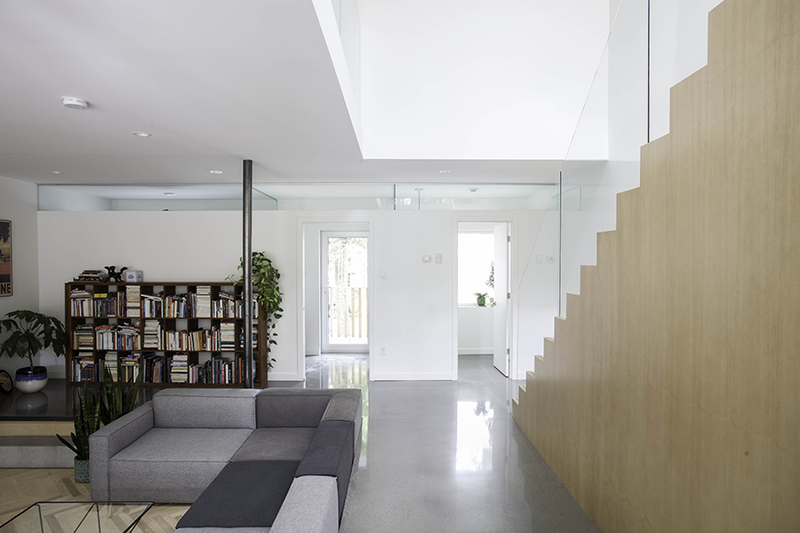 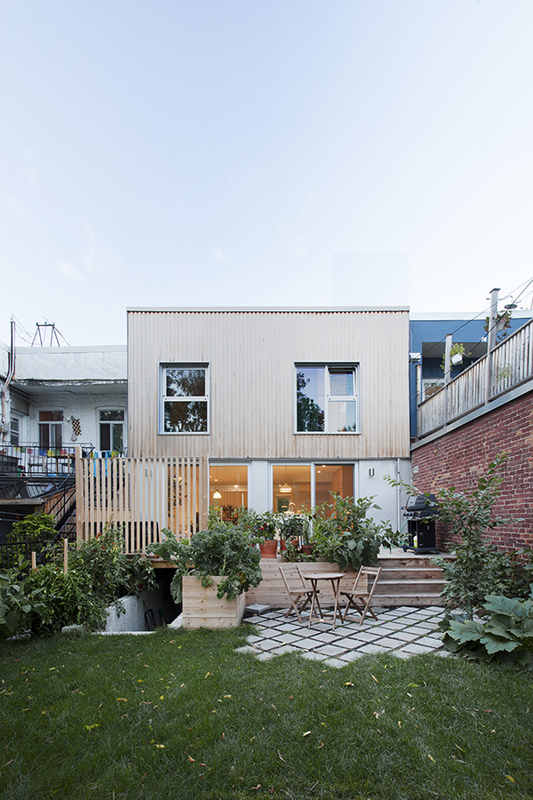 APPAREIL architecture opted for a minimalist, uncluttered and Nordic style for the renovation of a typical Montreal duplex, and ecological materials and natural light have been put forward to meet the needs of its residents. 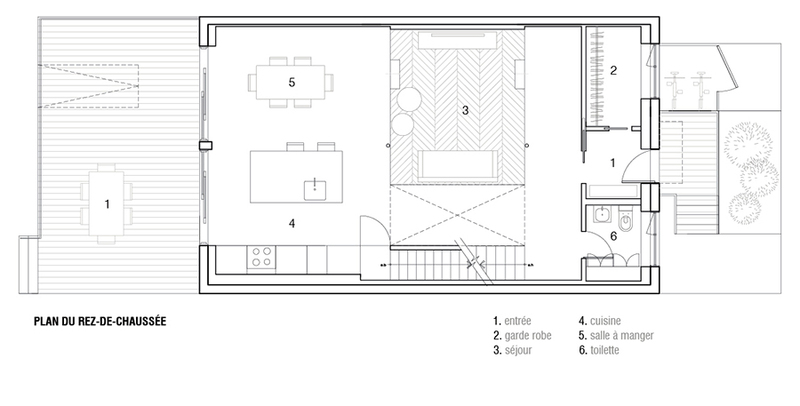 The clients wanted vast living areas and a great luminosity, and APPAREIL opened up the floor plan to create airy rooms. 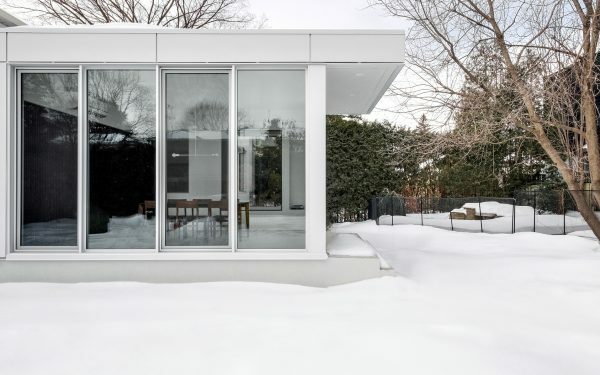 Large sliding doors and windows were added at the back of the house, where the kitchen and dining room are now located, offering a nice continuity inside/outside.The living room, located at the center of the ground level, was sunken about 16 inches compared to the rest of the main floor, giving a certain frame to the space and an inviting feel. 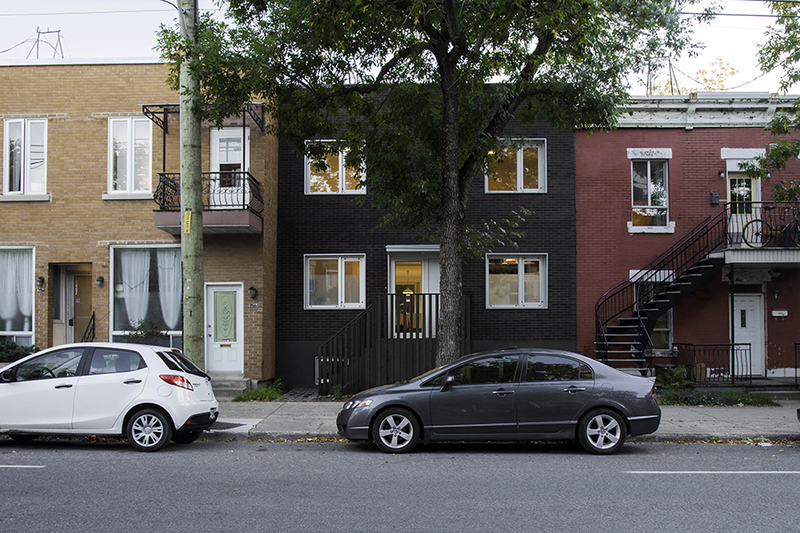 Bioclimatic studies were completed with a certified consultant before the renovations. 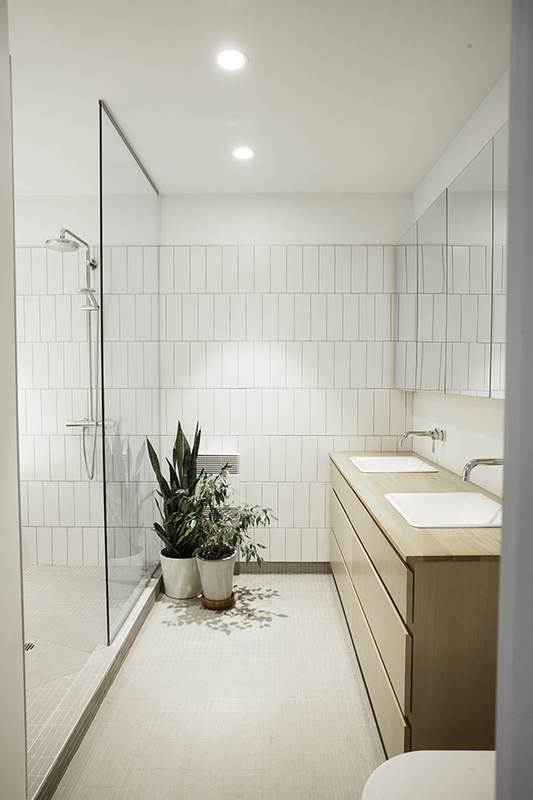 The insights gained, such as influx of natural light and heat intake, helped to rethink the space accordingly and to have a positive impact on the building performance.